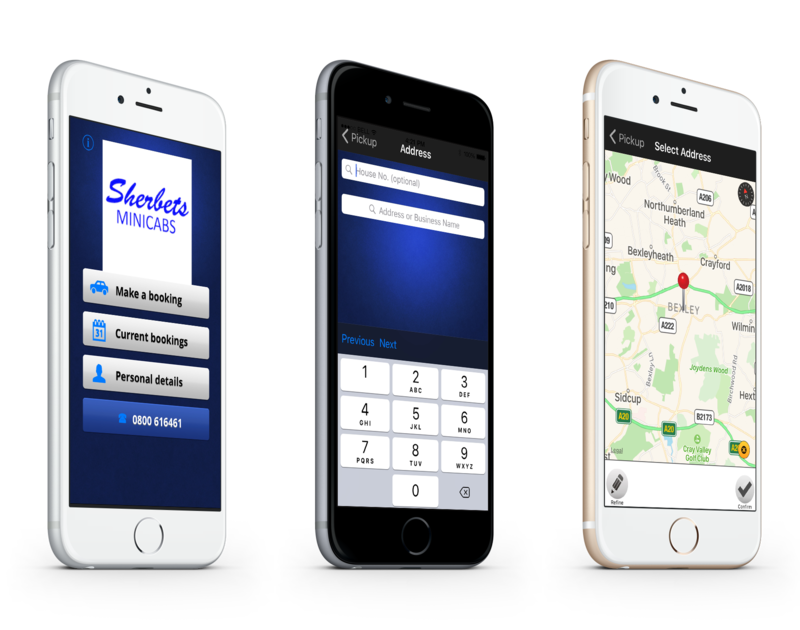 Sherbets Mini Cabs provide exceptional local taxis Abbey Wood and surrounding areas at affordable prices. It is our aim to work continuously to ensure you receive value for money. Please do not hesitate to contact our friendly team with any enquires you may have. Serving customers throughout Abbey Wood, our taxi drivers adapt our service to suit your requirements. Reliable, friendly and professional is how many would describe our taxi drivers, and we pride ourselves on our excellent customer service. We provide Mini Cabs in Abbey Wood and surrounding areas, we are contactable 24-hours a day, 7 days a week. Plus, all drivers are experienced and licensed by Dartford Borough Council. Download Your Taxi Booking App. Use our straightforward mobile app to book your taxi. As part of our unparalleled service, we ensure you are collected in a clean vehicle and transported to your destination on time. Our hassle-free app means that you can book your taxi in advance and enjoy a relaxing and comfortable journey. To avoid disappointment, book your taxi in Abbey Wood today. Our taxi drivers collect you from any location in the country. With access to London and Southampton airports and seaports, we go above and beyond to ensure you arrive in time for your flight. Contact our helpful team in Abbey Wood when you would like more information about our local taxi services.